In the country's northern part lies the Nord Department, which is made up of Acul-du-Nord Arrondissement that is composed of three municipalities, namely Acul-du-Nord, Plaine-du-Nord and Milot. The department is home to more than 100,000 Haitians. The municipality of Acul-du-Nord, often referred to as Akil dinò in Creole. It is divided into six small towns: Bas de l'Acul, Camp Louise, Coupe a David, Grande Ravine, La Soufriere, and Mornet. 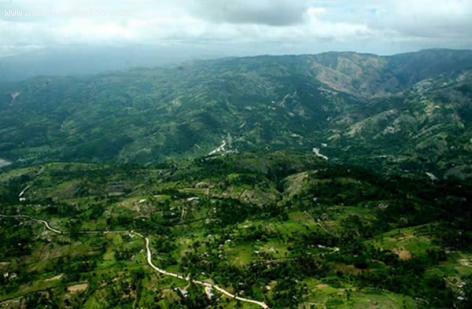 Acul-du-Nord is the home of 51,337 Haitians who concentrate on agriculture as their main source of livelihood. The common produce in the municipality are coffee, different kinds of fruits, and rice. Haitians in this region also practice beekeeping for attaining honey and selling this in the local market and in foreign trade. Majority of Acul-du-Nord's population are Roman Catholics due to the introduction of Christianity in the 1600s by Haiti's European colonizers. One of the earliest marks of Christianity in the municipality is the Camp Louise Parish located in the town of Camp Louise, which was built and completed in 1699 by the colony's former governor, Saint Domingue. The Haitian municipality is marked by its simplicity and hidden beauty. Transportation is a little difficult, with the nearest airport being about 14 kilometres away and Haiti-s capital, Port-au-Prince, 130 kilometres away. Despite Acul-du-Nord being off the map and widely unknown to many, it gained media attention in 2010 after violence struck in the municipality amidst the elections. The election polls were forced to cancel after a shoot-out between opposite parties.